Regardless of how bad a Yo-kai is, Auntie Heart's healing hug will make them pure again. That is some true kindness! 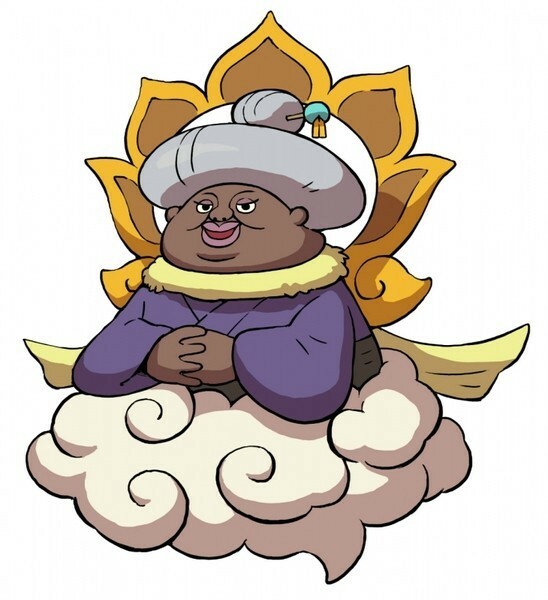 Yo-kai Medallium Bio: Regardless of how bad a Yo-kai is, Auntie Heart's healing hug will make it pure again. That is some true kindness! She resembles an elderly woman with gray hair and brown skin. She wears a dark purple kimono with a yellow collar and a golden flower plumage behind her, she has a cloud instead of legs.